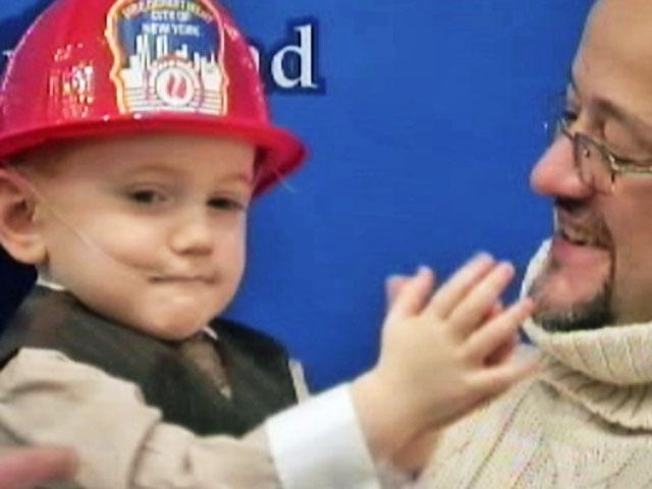 A 3-year-old Staten Island boy is being hailed a "little hero'' for alerting his family about a blaze in the basement of their home. Fire Commissioner Salvatore Cassano says it's amazing that Christopher Cooke had the presence to do what he did at such a young age. He spoke at a ceremony Tuesday where the boy earned the title of junior firefighter. Christopher woke his sleeping father after spotting smoke coming from a fire behind a clothes dryer on Dec. 30. Christopher's father, Steven Cooke, extinguished the flames but they reignited. The FDNY arrived minutes later and put them out. The boys' parents said Christopher was taught fire safety instructions in schools.